The CEBit trade fairs are becoming a bit of a quandery when it comes to being a European launch platform for IT products targeted at the home and small-business user.This is because most of these products appeal as a crossover product between something destined for the householder and something destined for a business owner or manager. It also cements the fact that products destined for household use like most wireless routers, smartphones and consumer laptop computers will typically end up being used in the shop or small office even though these places will use equipment targeted at business use. Here, some of these IT product ranges could be launched in Europe at this show whereas others could be launched at the Internationaler Funkaustellung in August. The core trends that I have observed concerning CEBit 2011 have been the tablet computers. This fair has become another launch platform for manufacturers to promote their new tablet computers which are primarily based on the Android operating platform. Key improvements for this class have been the use of dual-core processor technology which yields faster performance. For this class of device, this show has come at the same time Steve Jobs was premiering the Apple iPad 2 and it shows how competitive the market for tablet computers will be. The general-purpose computing market has been thrown in to a state of flux with Intel and AMD launching processor platforms based around CPU/GPU combo processors in the form of Sandy Bridge for Intel and APU for AMD. This has changed the ballpark when it comes to integrated graphics solutions with this class of graphics solution yielding graphics performance that is above what is expected. Similarly, NVIDIA have put forward an ARM-based CPU/GPU combination which would require a different software architecture. This has caused Microsoft to consider releasing the Windows Platform for the ARM architecture as well as for the Intel Architecture. These processor designs have opened up a new class of computer with “superslim” notebook / laptop computers as well as more of the low-profile ultracompact desktop computers and all-in-ones. The recent work on “dual-mode” graphics where there is a discrete graphics chipset as well as integrated graphics in a computer design has become of benefit when it comes to balancing power economy and performance by allowing the discrete graphics to be seen as an “overdrive”. The main trends here concern LTE wireless broadband as a WAN option for routers as well as speed increases for the popular no-new-wires network technologies. The 802.11n Wi-Fi network had been brought to 450Mbps in the form of a three-stream variant known as N450. The HomePlug powerline network had been brought up to 500Mbps but this is not yet a defined standard until HomePlug AV2 is “set in stone”. Still, this show has become a European premiere for these networking technologies. It is more so as more European countries have deployed or are deploying next-generation broadband service to homes and businesses across the continent. What with VDSL2 projects occurring in the Germanic countries (Germany and Austria) and parts of the UK as well as various FTTH fibre-optic projects in the UK and France. Google have released the 3.0 “Honeycomb” version of the Android operating system but have pitched it at the tablet computers rather than at smartphones and tablets. This has come at a time when more manufacturers were releasing tablet computers to the general market. There are two main screen sizes being released – a 7” size that can be put in a coat pocket as well as a 10” size that is similar to the iPad and most netbook computers. ASUS had launched their eeePad range of tablets with three notable devices. One is the eeePad Memo which is a 7” screen unit that is driven by a SnapDragon processor and can be operated with a stylus rather than the finger. Another unit of note has been the eeePad Slider which looks like a smartphone and has the expected functionality but can run on its batteries for 8 hours at a time. As well, ASUS premiered the eeePad Transformer which has a detachable keyboard for those who prefer to type. There have been a few “budget” tablets that are driven by Android 2.1 rather than 3.0 and are pitched as entry-level e-reader tablets. One 8” model was pitched by AOC and had no integrated wireless-broadband modem and had 4Gb of onboard memory; while there was another 7” unit pitched by Archos in the form of the 70b E-Reader. Of course, a few “iPad slayers” had been launched at this show. These units which are close to 10” for screen size have features, options and performance statistics that could offer more value than an equivalent iPad. Fujitsu had released a “Slate” tablet with two cameras and could work with an optional desk docking station so that one could use standard computer peripherals like a keyboard or printer. They also fielded a Windows 7-powered “business-class” tablet PC for the corporate end of the equation. Now, no tablet computer launch would be without the “Second Japan” (South Korea) putting their weight in with their high-value equipment. LG had launched the G-Slate which is an 8.9” Android 3.0 tablet powered by a dual-core processor, NVIDIA Tegra 2 graphics. This unit has 32Gb on-board, as well 2 cameras that are capable of 5 Megapixels each. Samsung has used this show to launch the Galaxy Tab 10.1. This is a 10” Android 3.0 tablet that uses a dual core CPU and NVIDIA Tegra 2 graphics. This has also become the time when Google had set the Android 2.3 “Gingerbread” version in stone. As well, there had been talk of Nokia wanting to shift from Symbian to Windows Phone 7 for their smartphone platform. Dell had put their foot in the market with the Venue Pro which is a Nokia-style smartphone with a slide-down keyboard. Nokia have premiered two keyboard-enabled touchscreen smartphones in the form of the Nokia N7 and N9, with the latter one being at least Meego driven. They are also wanting to move towards Windows Phone 7 and away from Symbian as the smartphone operating system of choice for their smartphones. Samsung have taken the chance to premiere the Galaxy S2, which is the successor to their highly-popular Galaxy S. This smartphone is equipped with a Super AMOLED display and runs Android 2.3. The Windows-7 computers become more powerful in their beauty and function. 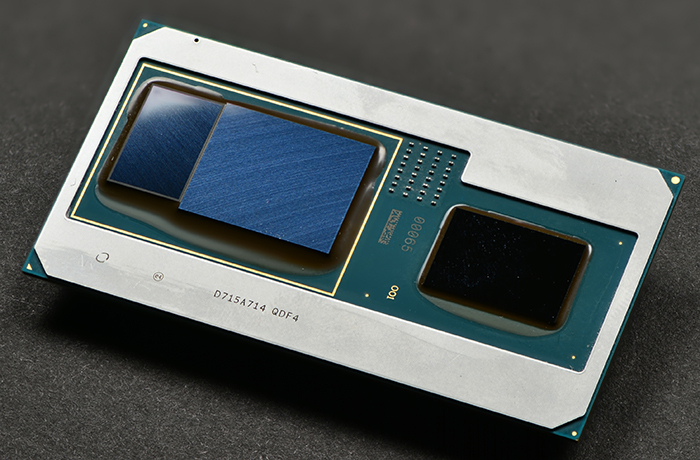 As well, the new combined processors in the form of the Intel Sandy Bridge and the AMD APU systems have opened up new paths when it come to designing desktop and laptop computers. Here, portable computers have been able to perform better than expected for most graphics tasks and are able to do this without a penalty on battery runtime. As well, manufacturers have been able to consider designing desktop computers that are small neat and elegant units yet able to perform remarkably well. ASUS have released three notebooks that are of note here. One is the eeeSlate EP121 convertible notebook which has a touchscreen and a supplied Bluetooth keyboard. The screen size is 12” and it is powered by an Intel Core i5 processor. Its secondary storage comes in the form of a 64Gb solid-state drive. They have also released the VX7 15” laptop which may impress regular “Top Gear” viewers. It has sports-car styling and uses dual-mode graphics in the form of NVIDIA GEForce GTX460M for discrete-mode and Intel Sandy Bridge Core i7 processor for integrated mode. As well, they have released a notebook computer which is 19mm thick. Here, I don’t have information about its full specifications. Dell have run with a convertible laptop in the form of the Inspiron Duo. Here, this machine’s screen swings in a frame to “filp” from a regular laptop to a tablet computer. Acer have premiered the iconia which is a dual-display laptop which uses two touchscreens with one as a keyboard. They have also shown the Revo multimedia desktop PC which I would describe as very similar to the slim version of the popular Sony PlayStation 2 games console. As well, Shuttle, a manufacturer of small-form-factor PCs have released a computer that is based H67 “Sandy Bridge” chipset. The computer display scene has been centred around large-screen HD monitors. One of these is in the form of the ASUS P246Q 24” LCD screen for graphics artists. This one could work in landscape or portrait mode, has an A4 aspect ratio, and a resolution of 1920×1080. For connectivity, this 499-Euro display has the DisplayPort, HDMI, DVI and “VGA” connectors as well as an integrated USB hub. BenQ have offered a 24” Full-HD LED-backlit LCD display This 300-Euro display has for connectivity 2 HDMI sockets, and a 4 USB hub as well as the usual DVI and VGA connectors but could offer a DisplayPort connector. They also released an “interactive projector” that needs no stylus and allows the user to touch the projected image to interact with it. Creative have released a few HD-resolution webcams in the form of the Socialize HD which is equipped with auto-focus and available as a “full-HD” (1080) model and an “HD” (720p) model/ They have also released the “Cam Chat HD” which doesn’t have auto-focus but works at HD (720p). Every technology trade show will come up with the usual line of peripherals and gadgets that may not appeal to the serious computer buyer but appeal to the computing press as sidelines. One is that Fujitsu had released a regular computer mouse that was to “appeal” to the green thought by having it made out of renewable materials. In my opinion, this wasn’t anything special as far as pointing devices go. SAGEM had released a cordless phone which reminded me of one that was released in the late 1970s by a mail-order firm in America. Here, the battery-powered cordless phone was designed like a standard corded desk telephone yet it transmitted via radio to a “black-box” base station that was connected to the telephone service. It was initially modelled on the standard-issue dial telephone of the day but was revised to look like the standard-issue pushbutton phone of that same era. The cordless phone offered by SAGEM and known as the “Grundig Sixty” was styled like a dial-equipped desk telephone that was standard-issue in Germany in the late 1960s except that this DECT-connected phone uses pushbutton dialling and is finished in that orange colour reminiscent of the era. For the network, this has become a European launch pad for N450 (three-stream 802.11n that runs at 450Mbps maximum) Wi-Fi equipment as well as 500Mbps HomePlug AV equipment. AVM, the German network-hardware name have become an example of this with their FritzBox routers have been conservative with their N-based WiFi speeds by offering N300 for their Wi-Fi networks rather than running for the N450 three-stream technology. One of these is the FritzBox 6840 which has LTE wireless-broadband on the WAN side and one Ethernet as well as Wi-Fi N-300 on the LAN side. Like most of the other FritzBox routers, it has VoIP telephony interfaces through 1 telephone socket and a base station for 6 DECT handsets. As well, it has a USB socket for sharing peripherals as well as being a DLNA media server. They also premiered the Fritzbox Fon WLAN 7330 which has ADSL2 on the WAN side and Gigabit Ethernet as well as Wi-Fi N300 on the LAN side. This would have the USB port and DLNA media server function as well as a VoIP endpoint for 1 regular handset and 6 DECT handsets. They also released a companion DECT cordless handset for these routers which looks as though it is a low-tier camera-equipped mobile phone. Here, this would use a colour LCD display and a graphic user interface for its management and use; and is pitched as an Internet audio endpoint. Of course, they have released a HomePlug AV 500Mbps set with two HomePlug-AV – Gigabit-Ethernet bridges for the European market. TP-Link have started to push in to the European market as far as their HomePlug products are concerned, This is with them premiering an energy-saving HomePlug AV network bridge with power connector so you don’t lose your power outlet when you plug in the HomePlug. The CEBit 2011 trade fair is the first such fair for an interesting year in information technology, what with combo CPU/GPU chips, higher network speeds and increased interest in the touch-driven user interface. Should you set up a Wi-Fi hotspot in your cafe or bar?